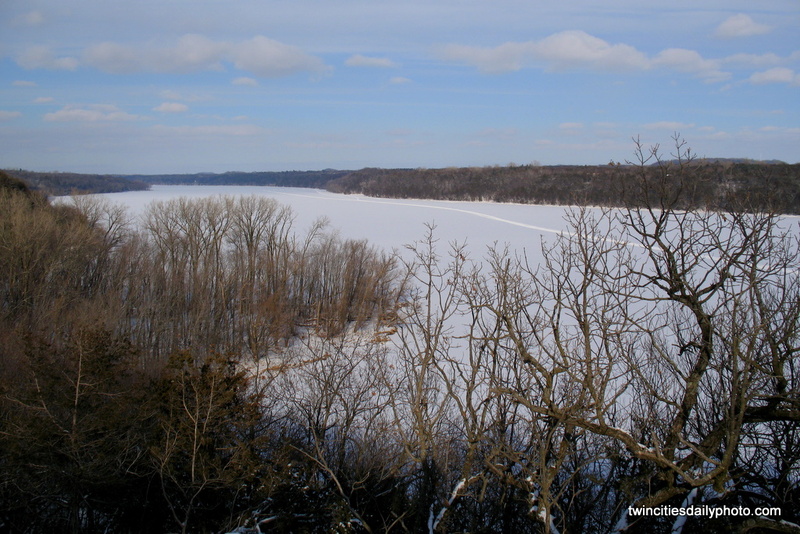 Though if you looked at the St Croix River today, you would see a much different free flowing water way. However a good month ago, the temps were much colder than today, the river was frozen. Frozen over enough for someone to make a path, a very long path down the heart of the icy river. I didn't get close enough to tell if the tracks in the snow were made from walking or if they were made from a snowmobile.